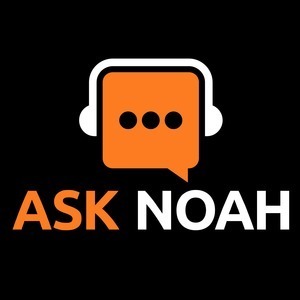 We found 10 episodes of Ask Noah Show with the tag “noah chelliah”. This week we're live from the floor at SELF! We talk to the movers & shakers in the community. RedHat employees flood in to talk about the great things they're doing for the Linux community. This week we take a look at how you can implement a domain controller on Linux or get the same functionality as active directory on a Linux ecosystem. Plus the most calls we've ever taken. We take a serious look at SELinux: what it is, how you can manage it, and what Cockpit can do for you. The Raspberry Pi Thin client has been announced plus we take your calls! This week we talk about PayPal and other payment providers you can use to send and receive money, the cloud & of course - we take your calls. This week we talk about the new AMD Ryzen, different VPS providers you could take a look at & of course - we take your calls. This week we talk about the new release of Ubuntu 17.04, take a deep dive into the “right to repair” bill that is sweeping 11 states & the newest player in the social media space, Mastodon.